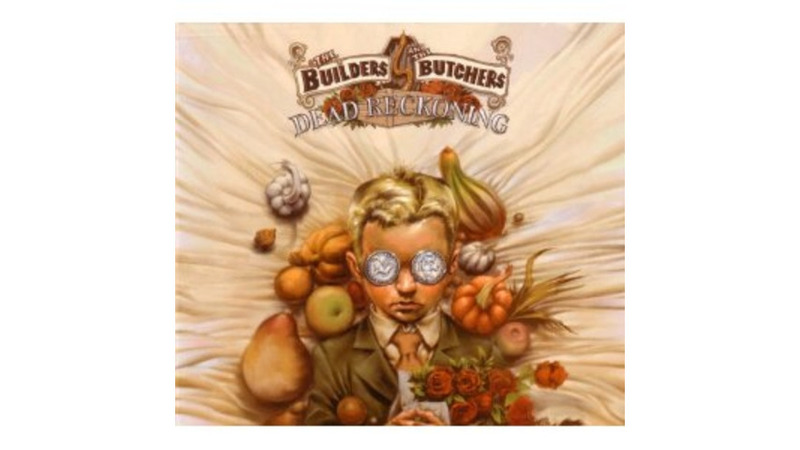 Portland’s The Builders and the Butchers work the Southern Gothic folk territory of The Handsome Family and The Louvin Brothers. Papa drinks, mama prays, and the devil roams the woods behind the cabin. Dead Reckoning, the band’s third album, doesn’t vary the formula much from 2009’s breakout Salvation is a Deep Dark Well. Frontman Ryan Sollee’s nasal yelp can still raise the hairs on the back of your neck, and the rest of the band scrapes along on guitars and mandolins and bangs on whatever comes to hand. It’s a bracing if occasionally repetitive approach, and Sollee and his cohorts work up a righteous head of steam. What sets these songs slightly ahead of the last batch, however, is Sollee’s newfound sense of compassion. Yes, the hellfires still burn, and the hearts are still black, and the end is ever nigh. But this time the songs are infused with a contemporary heartache that sounds far closer to 2011 than to the 1931 Depression-era vibe the band typically evokes. “Lullaby” is a poetic depiction of what surely sounds like corporate greed, which never goes out of style, and “All Away” is a surprisingly moving little ditty about the human cost of layoffs. Sollee sings of “the stock you placed in what you lost, the cuts that made you bleed,” summarizing it all neatly in the wistful chorus of “They took the names, they took them down to the river and washed them all away.” That not only sounds like a dead reckoning, it sounds dead right. “Did you know the whole world’s rotten to the core?” Sollee barks early on. Yep, I suspected it, but it’s nice to have a raw, apocalyptic reminder.